While the beard was the main attraction, the tyke also got some one-on-one time with the Duchess of Sussex. The pregnant duchess, who is expecting her first child with husband Prince Harry, teamed the $145 (£110) oversized "boss" blazer with a classic white shirt and black jeans for an outing in Dubbo on Tuesday. Prince Harry told the thousands who had come out to see the royal couple in Dubbo, about 300 km (185 miles) northwest of Sydney. The royal family announced Monday the Duke and Duchess of Sussex will be welcoming their first child in spring 2019. The trip is their only worldwide tour since the Duke and Duchess of Sussex were married in May 2018, apart from a two-day visit to Ireland. Afterwards, Benita Woodley recalled Meghan gifting it them, commenting: "She said if you go to someone's house you always bring something, so she did". According to the Daily Mail, it was Meghan's mum, Doria, who informed him of the pregnancy news, although that has yet to be confirmed. Keeping things minimalistic, Meghan wore her long dark hair in a chic low ponytail, with her hair scraped neatly back. 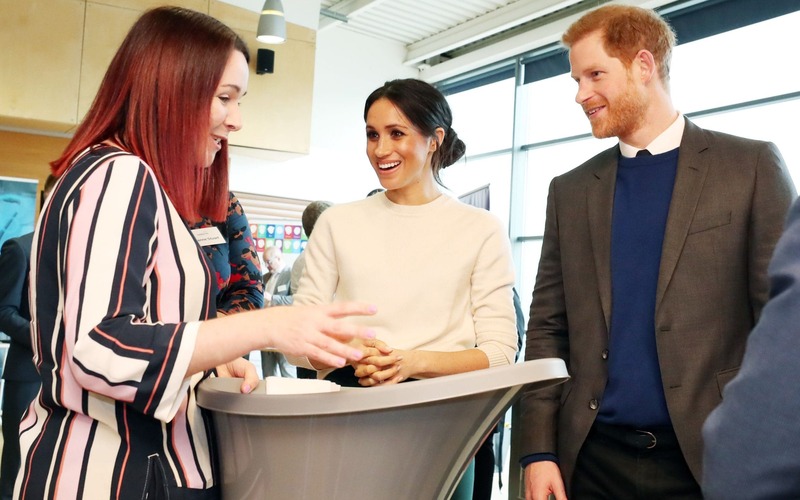 Harry and Meghan will meet farmers affected by severe drought and attend a community barbeque. The royal couple were touring Dubbo, in New South Wales, where they met volunteers from the Royal Flying Doctor Service and unveiled a new plane to mark 90 years of the organisation. The games, founded by Harry, are an global paralympic-style event for wounded military veterans. The couple will also travel to New Zealand, Fiji and Tonga on their first worldwide since marrying.